As the need for active curation grows, it is becoming increasingly critical to create a plan for what content should be curated, from where it should be sourced, and how often and where it should be shared on social media, email newsletters, or on a website. With an agreed upon “curation blueprint” in place, it becomes easier to test and optimize the content curation workflow for more meaningful engagement and, therefore, a stronger return on investment. Even if you don’t have the team or technology in place to operate from the highest level of active curation just yet, implementing any sort of strategic workflow will still help create efficiencies and allow for batch tasking. 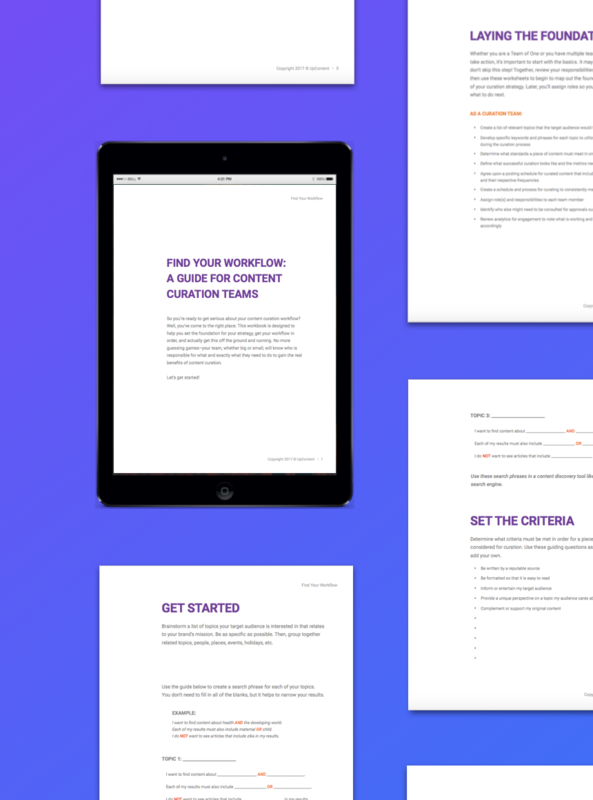 Find Your Workflow: A Guide for Content Curation Teams helps teams of all sizes build a content curation strategy and a personalized process to carry it out effectively.